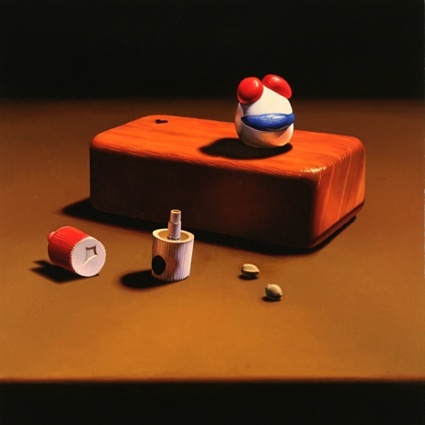 With this work it is my intention to create still life paintings that have a rebellious character in relation to the history of still life painting. 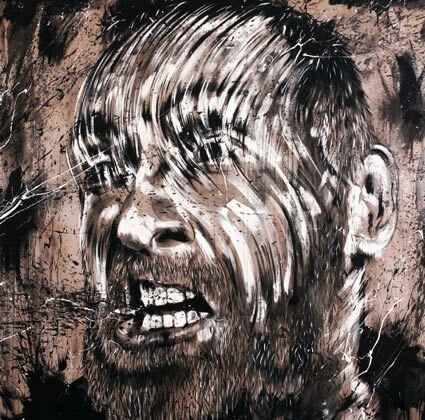 I try to establish this character or edge by setting up tension between the painting”s form and its subject matter. This concept involves contrasting a subject we associate with a lack of thought and accomplishment (adolescent stoner”s Play-Doe sculpture doodles) within a form we perceive as thoughtful/accomplished (old masters painting techniques/realism/attention to detail). 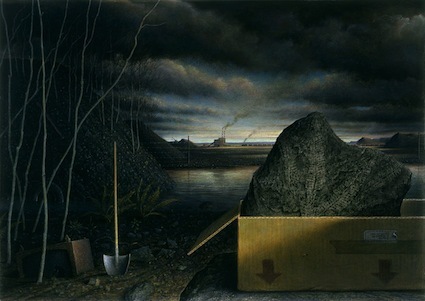 The format and technique convey the idea of sophistication and history, while the subject matter or objects seem juvenile or sophomoric. This dichotomy is set up in an effort to imbue my work with a somewhat “punk rock” or defiant attitude. Other forms of tension in this body of work involve the element of time. The objects in my paintings are arranged haphazardly and the small sculpture doodles are modeled quickly, while the painting itself is rendered very slowly and with painstaking attention to detail. It is also my intention to create an emotional tension. It is important that the sculpture doodles in each painting have a playful quality to contrast with the more serious still life format and painting technique. The lack of any evidence of my hand in the painting or drawing”s mark making provides an emotional void which is offset by the immediate mood conveyed by goofy, playful, or humorous objects. I'm going to be honest. . .I don't get it. I think it was the intent of the artist to represent the death of the Pillsbury Doughboy. I guess art is in the eye of the artist!! !